Collection Factory offers webmasters the ability to sell items from their collection as a solid revenue stream. For an in-depth documentation regarding the available payment item and gateways please visit this page. 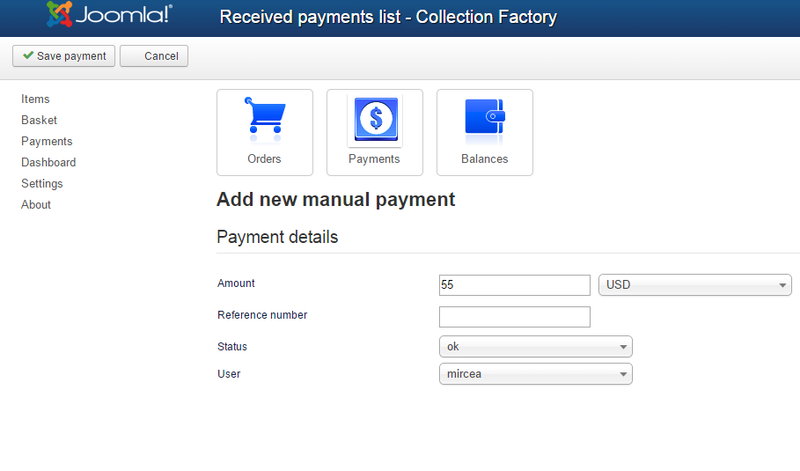 Once you configured the payment item and enabled the basket and at least one payment gateway, users will be able to buy items from your website. 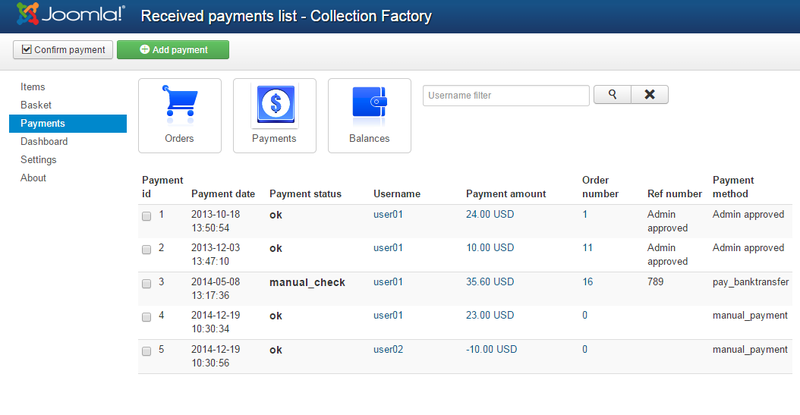 The Payments page from the backend will help you manage these payments and users' balances. The Order status can be manually changed by the webmaster, when needed, (X = order canceled, P = order pending, C = order completed) simply check one order and click on Confirm order or Cancel order.